It’s still considered fall. And I wanted to make something fall-y and pumpkin-y for my co-workers. These bars were so darn moist and flavorful! 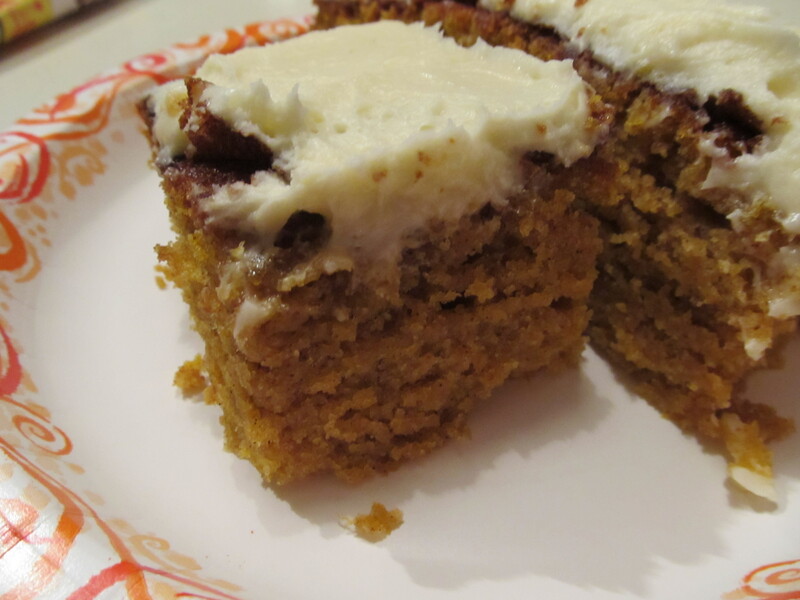 They had just the right amount of cinnamon and allspice without being too over-powering. 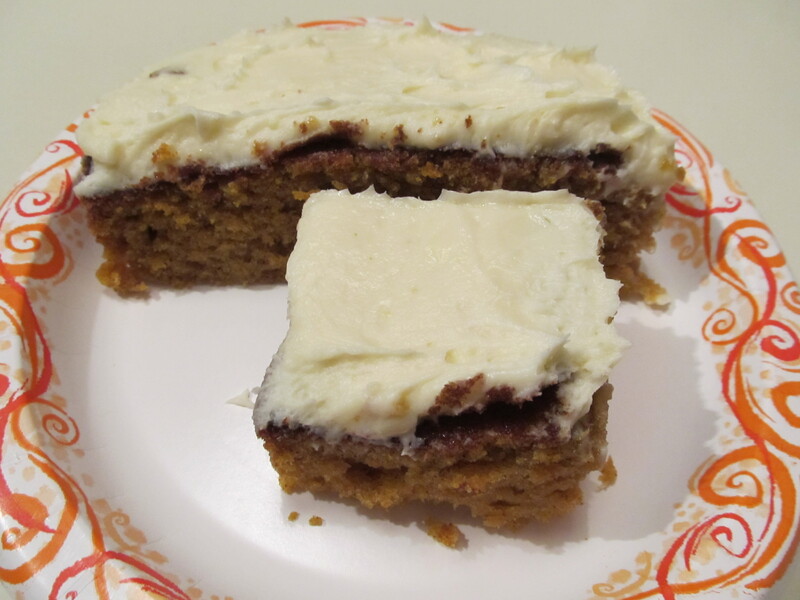 And the cream cheese icing…..I mean, you could slap cream cheese icing on most baked goods and it makes it that much more amazing. But this was just incredible. I think everyone should just whip these up real quick – they will please almost anyone. It’s a perfect treat for family, friends, and co-workers! 1. For the Bars: Preheat oven to 350ºF. Butter and flour a 9×13 pan and set aside. 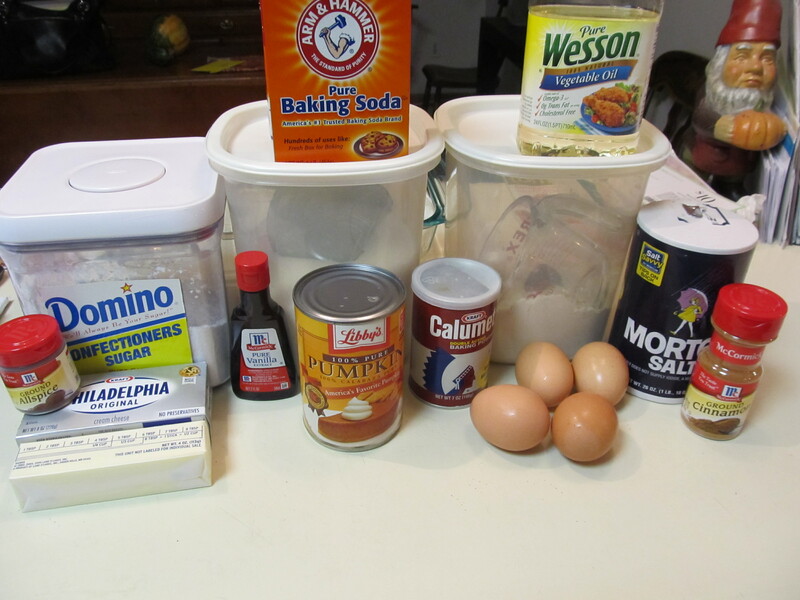 Mix flour, soda, powder and cinnamon in a small mixing bowl and set aside. 2. In a mixer fitted with paddle attachment mix the eggs, sugar, oil and pumpkin until completely smooth and blended. With the mixer on low, slowly add the dry ingredients until fully combined. Stop as needed to scrape down the sides of the mixing bowl. 3. 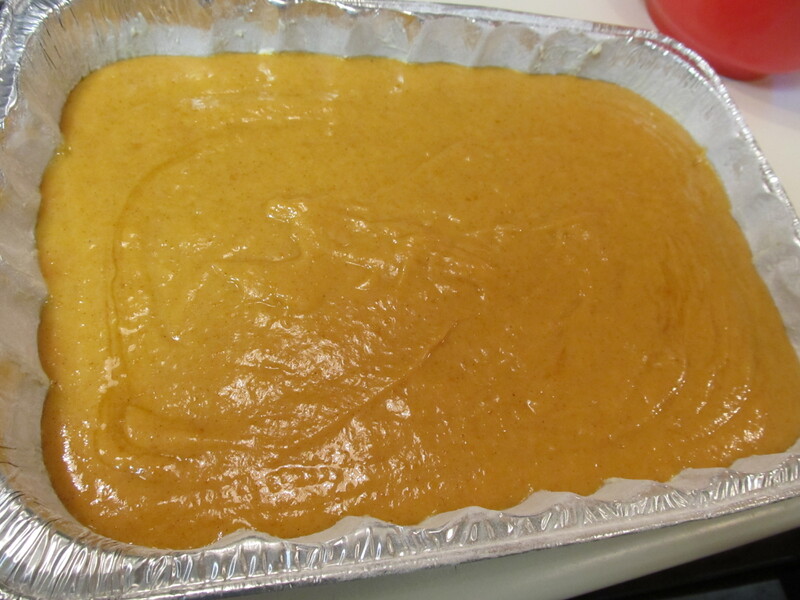 Spread the batter into the pan and bake for 30-35 minutes, or until the center is set and a cake tester comes out clean. Cool completely to room temperature before frosting. 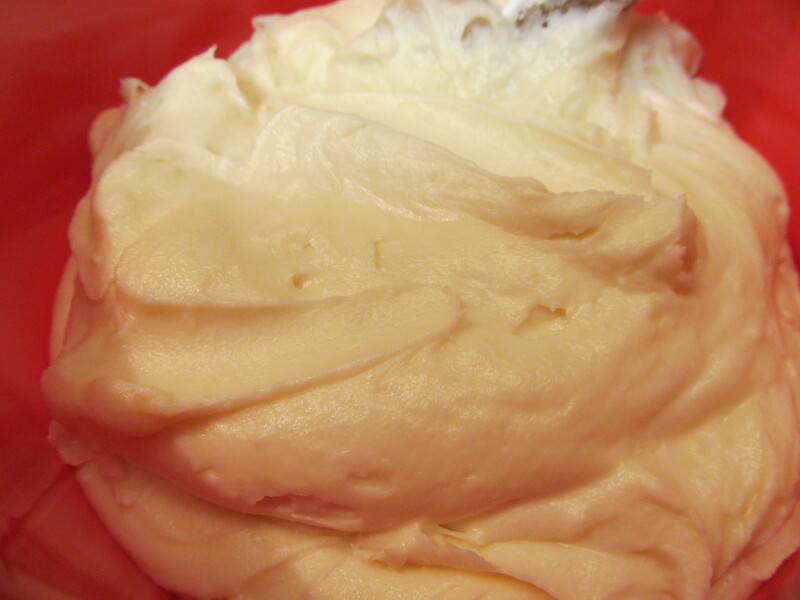 In a mix whip together cream cheese and butter. Then add sugar and vanilla. Blend until smooth.